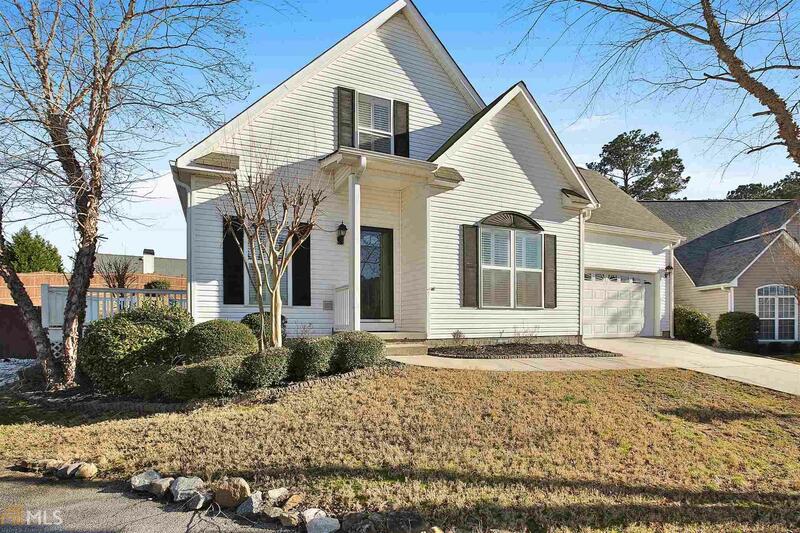 Beautiful well maintained 4 bedroom, 2.5 bath home located in Cedarcroft. Features include Master Suite on Main, hardwood floors, Plantation shutters, lovely kitchen with stainless steel appliances, granite counters with a breakfast bar. Spend your evenings relaxing on the large porch. Large fenced backyard perfect for kids or pets. Home sits on a cul-de-sac lot. Hop on your golf cart & be on the cart paths in seconds. Conveniently located with easy access to all Peachtree City amenities. Excellent Fayette County schools! Directions: Hwy 54 To McDuff Pkwy, Make A Right At Saint Albans Way, Right On Turnbridge Circle, Left On Hollen Court. Home Is Located At The End Of The Cul-De-Sac.